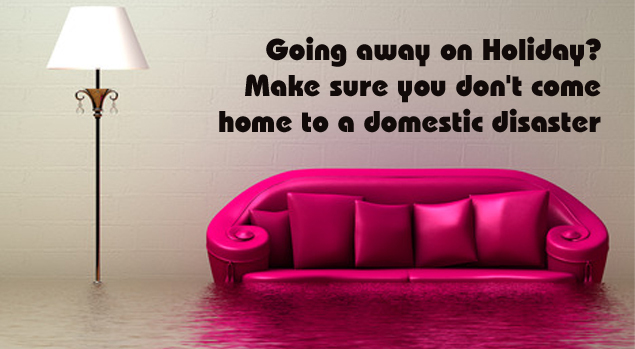 If you are lucky enough to be going away during the Christmas break this year no doubt you will be very careful to remember to pack the essentials like your passport, money, travel insurance, camera, etc… but it is just as important to remember to look after your house properly so that you don’t come home to a domestic disaster such as your house burned down or flooded out. Many of these holiday nightmares may not be covered by your insurance provider so make sure that you take all the precautions necessary to ensure that you reduce the risk of returning home to such a crisis. Below we have prepared a list of some best practices that you should follow before leaving for that well deserved break so that your holiday will be a memorable one for the right reasons. Make sure to remove any food and crumbs that may spoil in your absence and attract a pest infestation. Make sure your bins have been left out for collection or emptied aswell. I hope you found this article helpful. If you have any comments or suggestions on this subject please feel free to enter them in the comments box below, we’d be delighted to hear them.